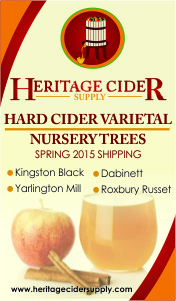 If you’re in the San Diego area and are a hard cider fan, you’re soon to be in luck! Local San Diego brewery, Saint Archer Brewing Company, has recently announced their plans to expand production and join the ever expanding world of hard cider. With the help of Brewmaster Kim Brisson-Lutz, actions are being taken for the brewers-turned-cidermakers to start getting their feet wet in this new endeavor. Brisson-Lutz is no newcomer to the specialty beverage market; a background in immunology and food science sparked an interest in wine-making which quickly moved into a venture brewing for Saint Archer. If anything, Brisson-Lutz takes this expansion as a great new opportunity to blend her passions together. As far as the science behind the production goes, “cider is almost like a cross between beer and wine,” she says. With the opportunity to start cider production from scratch, Saint Archer has the ability to experiment with different recipes, yeast strains, and apple varieties, giving Brisson-Lutz the ability to let her wealth of experience shine. While Saint Archer is not the first craft brewery to explore expansion into this quickly growing cider industry, they are among the first to bring production to the San Diego area, a feat which is expected to be huge for the company. 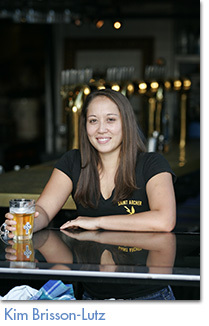 “San Diego and LA are looking for cider,” says Brisson-Lutz, who is excited to be able to show off her and Saint Archer’s skills; she continues to state, “the things you can do with cider are basically endless.” With the rise of gluten-sensitivity, cider is becoming a more and more popular selection for consumers; Saint Archer itself has members who are gluten-intolerant, much of the reason that the group decided to start the expansion experiment. The refreshing easy-drinking that is associated with cider consumption is a perfect fit with the brand as well, which makes for a natural match. Though they are still in the experimentation stage, expect a cider on the drier side for Saint Archer’s first distribution. With goals to achieve characteristics similar to a white wine (aromatic, with a higher acidity, but not too tart), Saint Archer is searching for a refreshing option where consumers can easily sit down and drink a few glasses. Those lucky enough to be close to the tasting room have the added bonus of tasting non-distributed varieties that the producers are playing around with, such as barrel-aged ciders or small-scale fruit-infused concoctions. The group is expecting a release in late winter of 2016, with approximately 20-30 barrel batches, with distribution following in the same route as its older brand relative Saint Archer Beer. As of right now, the brand plans on maintaining distribution throughout California with no plans of further expansion, however it is certainly not out of the question. The Saint Archer taproom is open weeklong (but just for beer at this time!). 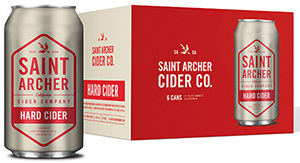 For more information, and to keep up-to-date with all things Saint Archer Hard Cider, please visit SaintArcherBrewery.com. Photos courtesy of Saint Archer. WildCraft Cider Works is proud to introduce the first ever Urban Orchard Community Apple Drive, a project that will deliver a handcrafted cider made from the community, for the community, with a little help from all the wildcrafters out there. The Urban Orchard Community Apple Drive runs from August to November; community members with excess fruit or bumper crops are encouraged to bring in their excess fruit in exchange for cider or fresh juice. 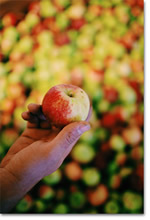 Fruit can be dropped at The Cider House, 390 Lincoln St. in Eugene, OR 97401 during open hours or the WildCraft Press House, 254 Lincoln St. in Eugene, OR 97401. The collected fruit will be used in the creation of WildCraft Cider Work’s Urban Orchard Cider to be released in the coming new year. Ten percent of sales from this cider will be donated to the Long Tom Watershed Council, a vital organization involved in restoring and protecting waterways and surrounding habitats in the southern Willamette Valley. At WildCraft, they pride themselves on being community organizers and responsible stewards of local resources. As the seasonal change comes upon us and neighborhood trees paint the sidewalks with fallen fruit, WildCraft continues to press the finest handcrafted high-quality cider from wild orchards and local farmlands; but they’re about to take it one step further, into your backyard. Cider doesn’t get more local than when it is made from the fruit of your own trees. Is your backyard a wild place? Gather up any fallen or unwanted fruit from your garden or backyard and bring it in to one of the designated drop-off locations. The WildCraft family will be there to receive your fruit donation and offer you trade vouchers good for WildCraft hard cider or fresh juice. The more fruit you bring the more trade you get! One box (40 lbs. 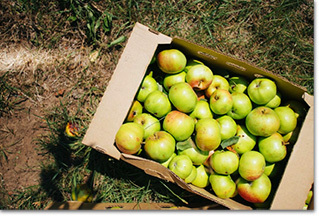 or more of usable fruit per box) gets you one pint of cider or one quart of fresh juice. Four boxes (40 lbs. or more of usable fruit per box) gets you a 32-ounce commemorative growlette (while supplies last) and fill. Apples, pears and plums – all varieties are welcome. This is a full-scale community effort, geared toward utilizing local resources and bringing people closer together around the age-old process of crafting handmade cider. Your fruit donation to the Urban Orchard Apple Drive will culminate in the first ever Urban Orchard Cider, slated for release on New Year’s Eve. In the spirit of community stewardship, 10% of all sales from Urban Orchard Cider created with the apples and fruit form the Community Apple Drive will be donated to The Long Tom Watershed Council. 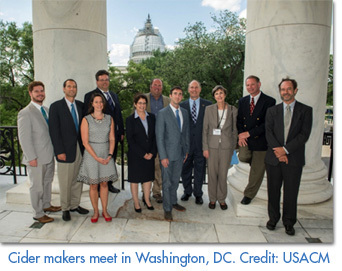 Together, all can aid in the restoration efforts of organizations, land trusts and land owners in our community who have taken up our collective responsibility to care for our waterways and wild spaces. So whether you’re a fruit connoisseur with a basket of apples from your prized personal orchard, or your backyard is a jungle with an abundance of otherwise forsaken fruit, your contribution can help WildCraft create great cider for everyone. Your community, your resources, your ciderhouse. The Urban Orchard Apple Drive runs through November 1, 2015. 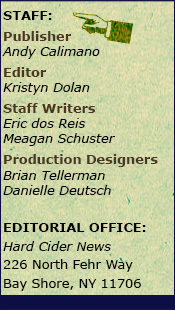 For additional information, please visit WildCraftCiderWorks.com. Photos courtesy of WildCraft Cider Works. 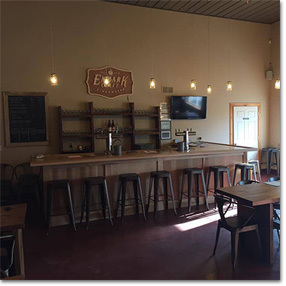 Embark Craft Ciderworks in Williamson, NY, hosted the official grand opening of its taproom last month and released its first hard cider varietals during a day of family-friendly events. Embark Craft Ciderworks crafts hard cider using apples sourced from Lagoner Farms and other local growers. The taproom features Embark’s ciders in a tasting flight, a farm-to-table menu featuring ingredients from local farms, and bottled cider available for sale. “We are farmers first, with the experience, knowledge and passion for growing apples. Therefore, we focus on the quality of the apples we grow and the unique attributes of each variety to develop ciders with distinct flavor profiles,” explains Jake Lagoner, cider maker and co-owner of Embark Craft Ciderworks. Chef Jason Carlson has developed a menu for the taproom that includes cheese and charcuterie boards as well as lunch and dinner options that complement Embark’s hard ciders. In addition to developing cuisine for the taproom, Carlson will also create menus for special cider pairings and other farm-to-table events Embark Craft Ciderworks plans to host in the future. 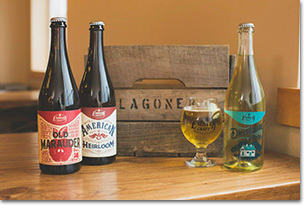 Embark Craft Ciderworks’ Old Marauder and American Heirloom varieties were recently recognized with silver honors in the New World Cider – Modern Category and New World Cider - Heritage Category, respectively, during the Great Lakes Cider & Perry Competition. Additionally, the company’s Crab Series Vol. 1 won bronze in the New World Cider - Heritage Category. Embark Craft Ciderworks is owned by Christopher Gowan, Diana Lagoner, Jake Lagoner, Mark Lagoner and Mitzi Lagoner. Gowan and Jake Lagoner are the cider makers. The taproom at Embark Craft Ciderworks is open Tuesday through Saturday from 11AM to 8PM; and Sunday from 11AM to 6PM. For more information about the hard ciders or farm-to-table events hosted by Embark Craft Ciderworks, visit EmbarkCraftCiderworks.com. Photos from Embark Craft Ciderworks. Eurobrew Inc. announced last month the arrival of Celt Thirtsy Warrior, it’s most recent cider produced by Groupe Eclore in Brittany, France. Groupe Eclor is the beverage division of Agrial, a very large French agricultural conglomerate which was created in 2004 with the merger of CCLF and CSR, two leading cider and apple juice producers. Today, Eclor leads the cider market in France having 80% market share with brands such as Kerisac, Loic Raison and Celt. Eclor is also a key economic player in Western France since Agrial is comprised of more than 10,000 farmer members, 6,000 of which are cider apple producers. Celt Cider has sparkled since the Iron Age when Gaul warriors roamed the ancient land named “Armor” or “Country-by-the-Sea.” They worshipped the sun, the moon and the stars and feared nothing but the sky falling on them. Celt cider is named after these proud and fearless warriors who lived in the six Celtic nations known as the “Celt Crescent” – Brittany, Cornwall, Ireland, Scotland, Wales and the Isle of Man. Made from the finest apples in Brittany, Celt is a refreshing demi-sec cider with a fruity flavor balanced by a crisp dry finish. Celt is best served chilled. Most creperies in Brittany serve cider out of ceramic bowls or “bolee” such as the Celt 12-ounce Thirsty Warrior’s bowl. Celt Thristy Warrior will be available in 4-pack 33cl. bottles, 75cl. bottles and 20L kegs (poured using the unique Celt Thirsty Warrior tap handle). Suggested retail price is $8.99 per 4-pack and average case price is $39.00 per case of 24 bottles. 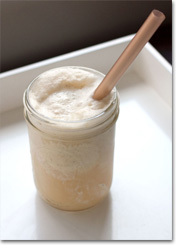 For additional information concerning Eurobrew, please visit Eurobrews.com. Whether you're getting ready to go to the beach, or you're already prepping for an upcoming tailgate, one thing is for certain - what you drink is going to be important. Kegs are too heavy to carry alone and many venues don’t allow glass of any kind, therefore eliminating bottles, so choices may seem slightly limited. However, like the rising trend of hard cider itself, production is moving from the solely traditional taps and bottles to something a bit more versatile and easily transported – cans. Below is a list of just ten canned ciders, in no particular order, available in the market that Hard Cider News has selected to highlight. Now you’ll be available to pack your backpack and support your team or sit by the shoreline with your favorite beverage, hard cider, by your side! Made in Hereford, England from apples and pears grown specifically for cider production, William’s Orchard distributes cans of their two cider varieties and their perry throughout select markets in the United States. All three selections have a 6.0% ABV and are gluten, sulfite and GMO free! Enjoy Sir Perry, Excalibur, and Dragon’s Breath. 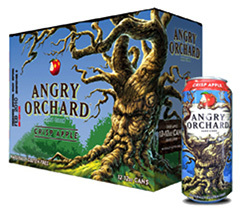 Angry Orchard has recently expanded to begin packaging canned versions of their bestselling products. Though not all flavors can be found in the aluminum packaging just yet, those who want the versatility can still find their fix in a handful of flavors including Green Apple, Crisp Apple, Cinnful Apple, and Summer Honey. 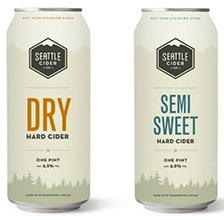 Boasting the claim it’s the first cidery to grace Seattle since Prohibition hit, Seattle Cider Company distributes much of their production through cans. Using only local Washington apples, the gluten-free concoctions hit the shelf in 16-ounce containers in a variety of fresh, natural flavors such as Dry, Semi-Sweet, and Citrus. Austin Eastciders makes old style cider using vintage bittersweet and bittersharp apple varieties to produce ciders which are drier, smooth and more complex than many modern hard ciders. 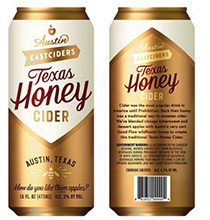 Many ciders that Austin Eastciders crafts include super-rare American cider apples like Hewes & Harrison, and uniquely Southern cider varieties like Winesap and Arkansas Black. Enjoy the Original and Texas Honey in cans! 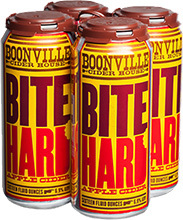 Boonville Cider House has only its Bite Hard Apple Cider available in a can as of now but this crisp, semi-dry cider that is slowly fermented from heirloom apples in the English tradition is a good one! Made from tannic and full-bodied fruit, this cider carries its distinctive bite with a clean and unique apple finish and citrus notes. Downeast Cider House has firmly established a policy of no shortcuts making sure no matter the cost to the company, they are fully committed to using only fresh-pressed juices and pure, natural ingredients in their ciders. 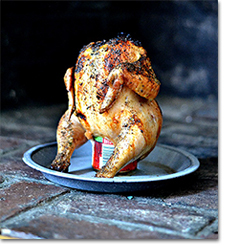 When it comes to flavor, there’s no substitute for the best, and that’s what they stand by: simple, honest and authentic. This New England cider producer offers almost all of its ciders in cans including Original, Unoriginal, Cranberry, Hard Honey, Lemonade, Pumpkin and Winter. 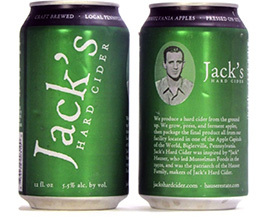 Jack’s Hard Cider was inspired by “Jack” Hauser, who led Musselman Foods into national recognition in the 1950s, and who is the patriarch of the Hauser Family, makers of Jack’s Hard Cider. The company grows its apples, presses its apples, and packages the final product all from their facility in one of the apple capitals of the US, Biglerville, Pennsylvania. Enjoy Original, Helen's Blend, Conewago Orchard and Fireside in cans with more to come. 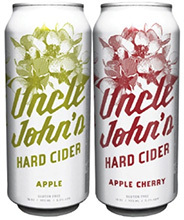 Earlier this year, Uncle John’s Hard Cider launched a brand new look for their product line which included some new cans for their award-winning ciders that have been around since 2003. 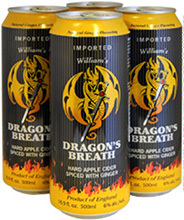 Their hard cider cans, available year-round, include the Apple, Apple Cherry and Apple Pear. They also make some seasonals such as Apple Blueberry, Apple Apricot, Atomic Apple, and Apple Cranberry. Bold Rock Hard Cider announced the launch of its first-ever craft cider in cans back in June. The popular Apple variety was released in singles and 4-packs of 16-ounce cans wherever Bold Rock is distributed, now throughout the East Coast from Pennsylvania to South Carolina. 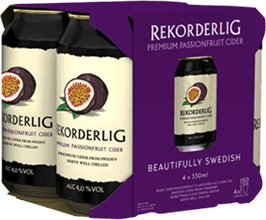 Rekorderlig was first created in 1999 with Europe’s most accredited spring water source which is handily under the cidery in beautiful Vimmerby, Sweden where the cider is still produced today by Abro Bryggeri. The brand now has five varieties available including Strawberry-Lime, Passion Fruit, Wild Berries, and Pear which are now distributed in various regions throughout the US. Still thirsty? There are plenty of other companies that have been or are starting to can their ciders like Sonoma Cider, Vander Mill, Woodchuck, Sociable Cider Werks, Citizen Cider, Rambling Route, Smith & Forge, Golden State Cider, Strongbow, and so many others that we just can’t name them all! Enjoy them even when there’s no glass allowed.